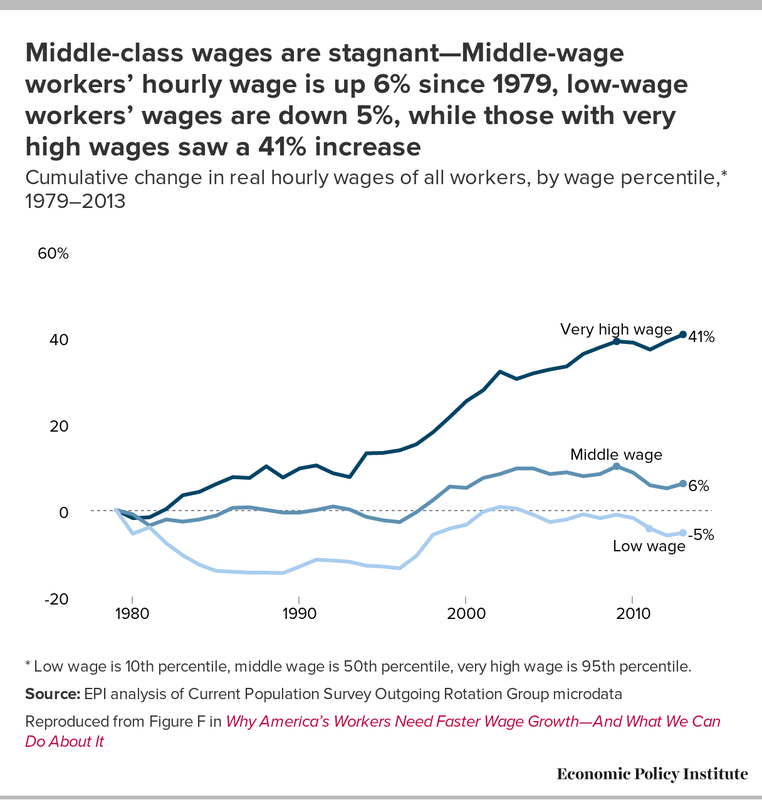 We are reprinting this article from the September 5 Los Angeles Times because it represents an excellent summation of just where we are today in terms of wages. However, we do not share writer Jim Puzzanghera’s optimism about what it represents. 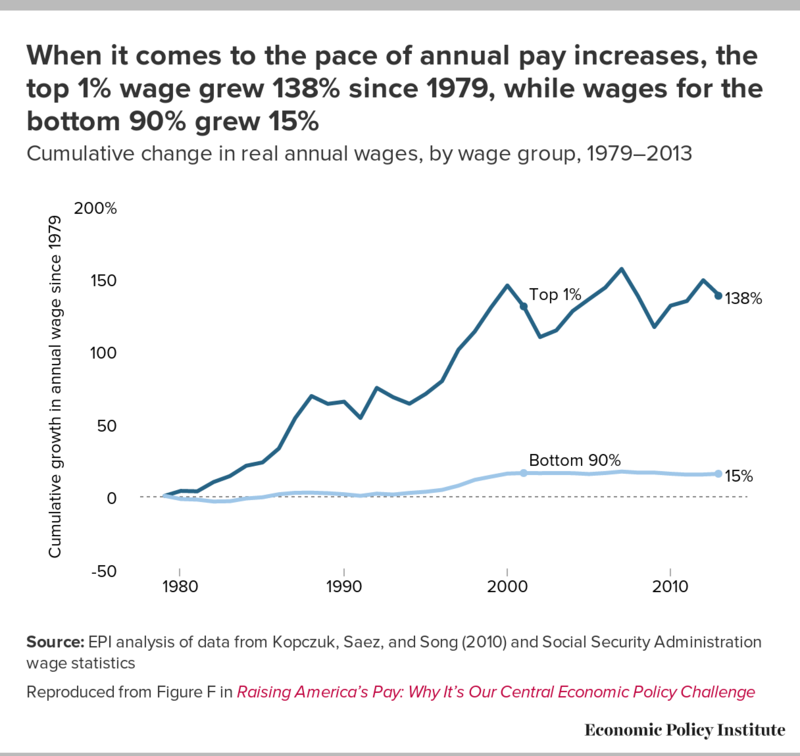 Wages at the lower and mid level pay scales still remain drastically short of where they should be after the Great Recession and probably never will catch up enough to reduce the growing disparity between top and bottom unless the next administration takes robust measures to tax the wealthy. For millions of Americans, a reminder of the economic damage of the Great Recession has arrived every week or two for years — in their paychecks. Painfully slow wage growth has plagued the recovery, with many workers seeing few if any raises as they struggle to make ends meet. But there are signs that has started to change. The falling unemployment rate has led to more competition for workers, spurring solid gains in average hourly earnings in recent months. Those pressures, amplified by laws providing significant minimum-wage hikes in California, New York and elsewhere, also are triggering changes for the workers who need raises the most. Beginning last year, large companies such as Wal-Mart, Starbucks, McDonald’s and JPMorgan Chase increased what they pay their lowest-level employees. “A pay increase is the right thing to do,” JPMorgan Chase Chief Executive Jamie Dimon said recently in announcing raises that would bring the hourly pay of bank tellers, customer service representatives and other employees to at least $12 an hour in three years, from the current $10.15. “Wages for many Americans have gone nowhere for too long,” he wrote in a New York Times opinion article. The same message has emanated from the presidential campaigns of Republicans and Democrats as stagnating incomes have fueled voter frustration about the economy. When adjusted for inflation, median annual household incomes declined to $53,657 in 2014, the most recent year for which government data are available, from $57,724 in 2000. Wage growth already was taking a hit this century for several reasons. One factor is the loss of bargaining power caused by a drop in the share of private-sector unionized workers; another is the decline in higher-paying manufacturing jobs as companies moved more factories abroad. As a result, the share of money flowing into households from wages began falling sharply compared with capital income from interest and dividends, according to a study last year by the Federal Reserve Bank of Philadelphia. The 2008 financial crisis and the worst economic downturn since the Great Depression amplified those changes, further stifling overall wage growth. But after two years of strong job growth, job openings are near record levels. That’s forced employers to hike pay to attract new workers and retain existing ones, economists said. Average hourly earnings increased 2.4% for the 12 months ended Aug. 31. Annual wage gains have been consistently in that range since last fall — they actually reached a seven-year high of 2.7% year-over-year in July — an improvement from the tepid 2% level during much the first six years of the recovery.